This Package Is Ready For You To Use As Your Own! 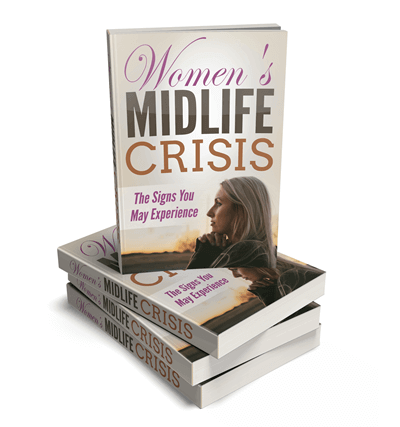 There are thousands of monthly searches on topics relating to women's health and wellness! Now you can provide all the information people are looking for with the content provided in this PLR special offer! There are many ways you can use the content in this offer! You can use the report as a free gift for those who subscribe to your list. You can post the articles on your blog, you can add them to the report and make another ebook, you can help those women looking for answers to their problems! 4,421 words, 25 pages. – Formatted and includes a table of contents with easy to click hyperlinked pages. Disclaimer, introduction and conclusion added. Fully illustrated with 100% royalty free (commercial use) images. Plus, beautifully made chapter header graphics! Word and PDF formats supplied. 2,503 words, 12 pages. – Formatted and includes a table of contents with easy to click hyperlinked pages. Disclaimer, introduction and conclusion added. Word and PDF formats supplied. 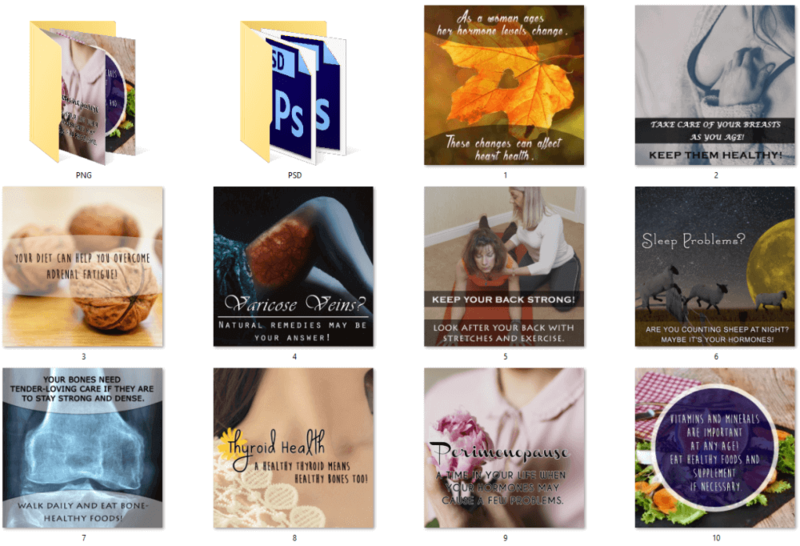 Created to suit the ebook graphics! You’ll also receive a full-size infographic! Our infographics are huge! This one measures 800px x 3,955px! We’ve also created 3 infographics from the super-sized one for you! Although it can be made into another dozen if you wish! Take a look at how many can be created from the large one! Only the authority websites have infographics like these, as they are too expensive to create! However, now it's your turn to be seen as an authority! 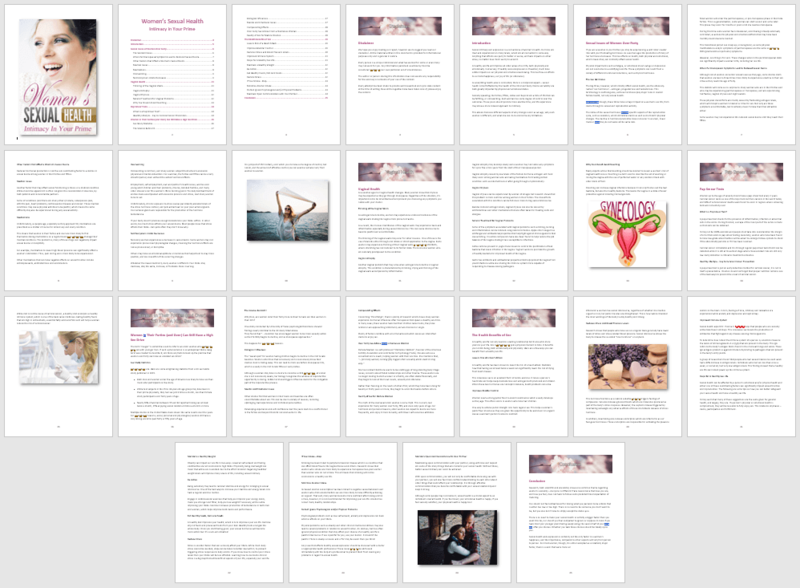 'Women's Sexual Health ' - 4,421 words, 25 pages. 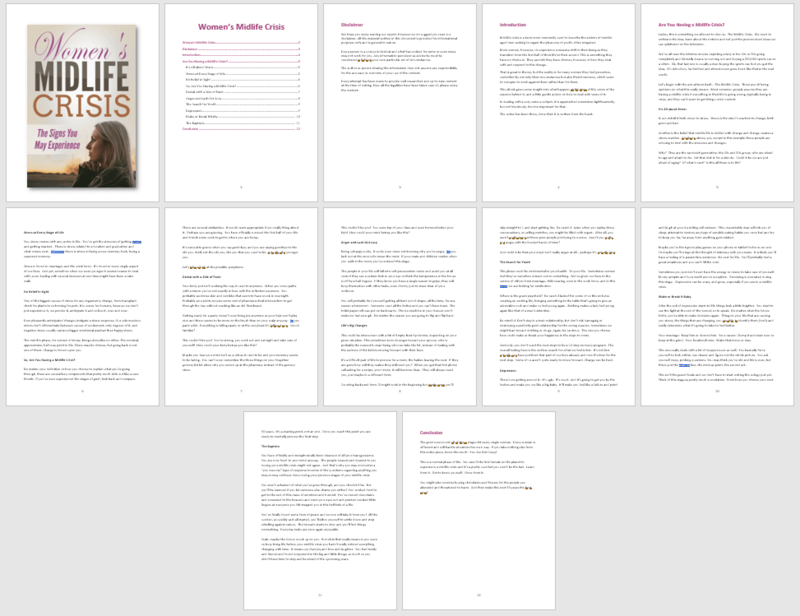 'Women's Midlife Crisis' - 2,503 words, 12 pages. You’ll also receive a full-size infographic! Everyone loves our infographics and you will too! Our infographics are not little images…you have to keep scrolling which keeps people on your site longer! This one measures 800px x 3,955px! We have also created 3 mini-infographics from the super-sized one for you! These become super handy extra images that you can share on your social media sites! Only the authority websites have infographics like these…now you can too!